Today we’re doing our happy dance in the TeamSnap offices! Dun dun dun dun … dun dun dun dun [guitar solo] dun dun dun [drums] doo doo doo [cymbals]. Are you back? Great. 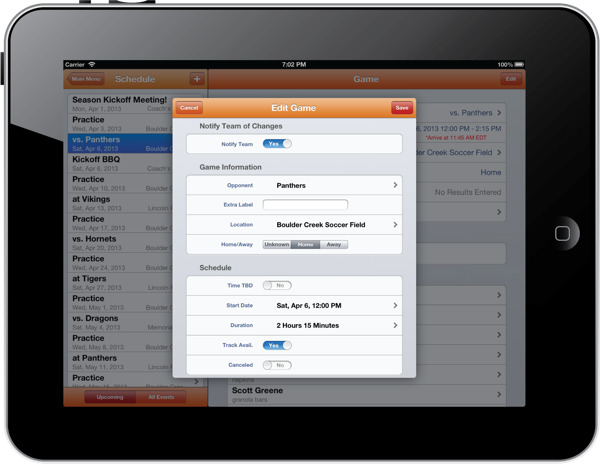 Now fire up TeamSnap mobile on your iPad. Ooooooh… Ahhhhhh….! Pretty cool, huh? Instead of the tiny little iPhone window, you now get a 100% native iPad experience that takes full advantage of the big screen size of the iPad or the not-quite-as-big-but-still-pretty-big screen size of the iPad mini. Split-pane navigation. See your roster in the left pane and details in the right pane. It’s really fast for cruising through lists of people and games. Fancy new data entry screens that pop to the front and then get out of your way. A new overview screen that gives you a bird’s eye view of your upcoming schedule as soon as you fire up the app. Assuming you have a bird that can read. Rotation? Awww yeah! Portrait or landscape, we’ve got you covered. And of course much, much more information visible on every screen. ‘Cause it’s an iPad! Slicker handling of Availability and new, easier-to-use availability checkboxes. A better experience for our hard-working league commissioner customers, including display of league custom fields. 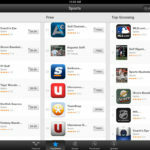 And of course the ubiquitous bug fixes and speedups to make TeamSnap mobile sing. As we mentioned in last week’s blog post, this new version drops compatibility with iOS 4. You must be running iOS 5 or iOS6 in order to download and install this version. That’s over 99% of you, so you’re probably good. We also no longer support Commodore 64 or TRS-80. Payments and Tracking. Yep, we know you need those on the go. Better messaging options for leagues. And of course making sure that our Android users are on par with all the goodies on iOS. 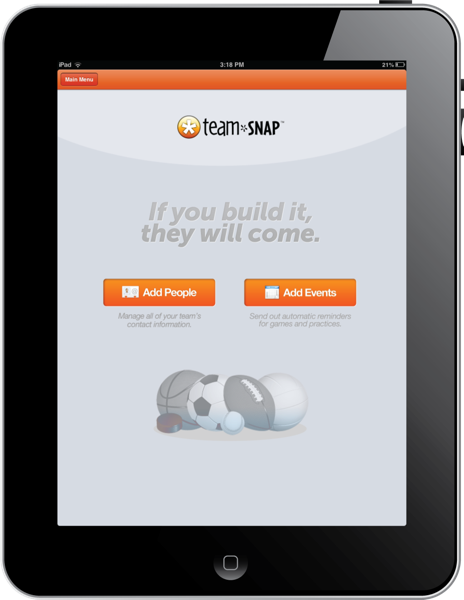 Give TeamSnap mobile 2.1 a try on your iPad (or iPhone or iPod touch) and let us know what you think. As always, it’s free to you from the App Store.